I was introduced to the world of accounting back in high school. I excelled in my Accounting 101 class and was hooked! Not only lucky, but Blessed to work for the most caring employers throughout my career starting in 1984. They are credited to my extended bookkeeping knowledge and relationship building skills along with the realization that I was prepared to handle any and all aspects of running a business. I would not be where I am now without their wise council. With the assistance of the Carteret Small Business Center and Chamber of Commerce, I decided to strike out on my own in January 2009. It was the best career decision I have ever made! I get to share all I have learned and help people manage their business more effectively. 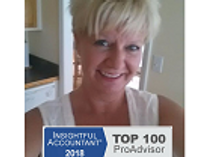 I earned my first recognition as a Certified QuickBooks ProAdvisor in 2006, and have succeeded each year thereafter in passing the required certification exams. 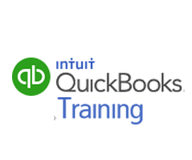 I was then invited into the Intuit Reseller Program which allows me to pass along great savings on QuickBooks products and solutions to my clients. These associations protect the public interest by ensuring only qualified individuals provide Bookkeeping and QuickBooks advisory services, and assures the public that members are trustworthy and competent. I am honored and excited to have author and instruct workshops to further help entrepreneurs in their pursuit of opening their own small business. Definitely a rewarding experience! I am a native of Rhode Island, the tiny 1,200 square mile beautiful "Ocean State" in New England. I am married to Bob, my one true love, have 3 step-children and 9 grandchildren. We live in Newport, NC with our fur-baby Samson.